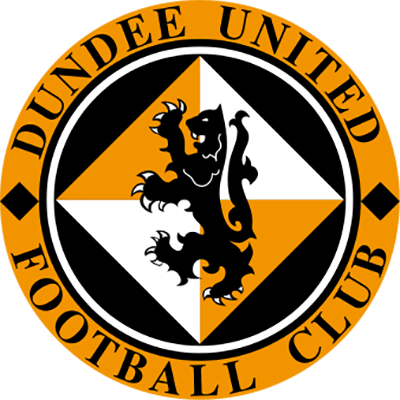 For the final away fixture of the season, Manager Ivan Golac didn't have his problems to seek Andy McLaren and Brian Welsh were both suspended, whilst Jim Mcinally and Maurice Malpas were rested after carrying knocks. Hearts were battling to avoid the drop and nerves crept into their play in the early stages as United played the more relaxed football. It was twenty minutes before Hearts had an attempt on goal when Robertson fired over, and gradually they took a grip on the game with John Colquhoun proving a real menace. The winger was afforded too much time and space just inside the area and he sent in a shot which Guido van de Kamp was at full stretch to save. Then McKinlay delivered a low cross which sped across the face of the goal and narrowly went past the far post. It was no real surprise, therefore, when John Colquhoun sent over a cross from the left. Christian Dailly got his head to it, but only succeeded in sending the ball in to Stephen Frail's path and the Hearts defender got in a shot which appeared to take a deflection. Guido van de Kamp got a hand to it, but couldn't hold it, but scooped the ball away, but not before the linesman had flagged that the ball had crossed the line. 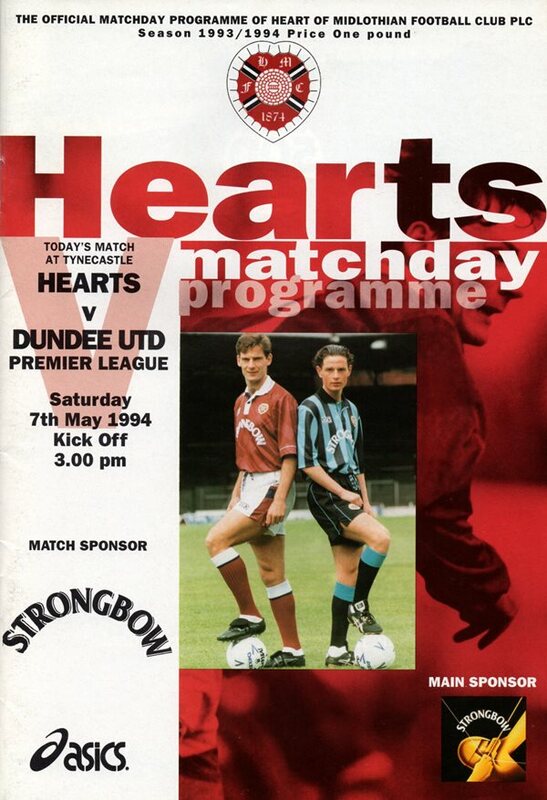 Hearts almost scored a second just before the interval when John Robertson fired in a shot from Tosh McKinlay's cutback, but Guido van de Kamp turned it round the post. 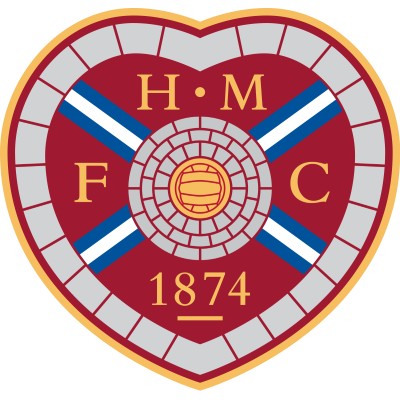 However, the home side did go two in front eight minutes into the second period when Frail's low cross from the right was hammered high into the net by Craig Levein. United's best goal attempts came when Frail hooked a David Hannah header off the line and Gordan Petric followed up with a shot from the corner which Locke cleared and the big Serb promptly sent in a header from the rebound which went narrowly past, but that was the end of United's attacking efforts of a match in which the exertions of the long hard season certainly were in evidence.